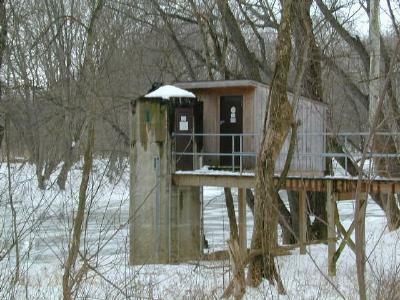 6.5 mi northwest of Hagerstown, and 19.1 mi upstream from mouth. PERIOD OF RECORD.--June 1928 to current year. Monthly discharge only for some periods, published in WSP 1432. REVISIONS HISTORY.--WSP 756: Drainage area. WSP 1432: 1929(M), 1930, 1931-32(M), 1935(M). gage datum 4.92 ft lower than present gage datum. gage height, 24.50 ft; minimum discharge, 21 ft3/s, Aug. 8, Sept. 12, 1966.
sometime in 1889, from information by local residents, discharge, about 22,000 ft3/s.